We regret to post that our ever popular Dark Side Reading Group is currently full. Please contact Alden, agraves@northshire.com to join a waiting list. The Dark Side Reading Group will meet on Wednesday, January 16, at 1pm in our conference room for a discussion of,When the dancing stopped, by Brian Hicks. Brian Hicks , Ghost Ship: The Mysterious True Story of the Mary Celeste and Her Missing Crew. 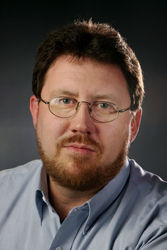 Brian Hicks, a native of Tennessee, joined The Post and Courier in 1997. He has covered Southern politics for more than 20 years, and his journalism has won more than two dozen awards, including the S.C. Press Association's Journalist of the Year in 1998. His column began appearing on the newspaper's website in 2007 and the print edition in 2008. Hicks' column has won a Green Eyeshade Award from the Society of Professional Journalists as well as Best Column and Best Humor Column honors from the S.C. Press Association. He is also author or co-author of four books. His fifth book will be released in 2011. Brian Hicks is currently considered a "single author." If one or more works are by a distinct, homonymous authors, go ahead and split the author. Brian Hicks is composed of 2 names. You can examine and separate out names.